Today I was praying and I got a really weird but oddly sweet image. While praying, I saw a human heart that was like a sponge and it was soaking full of water. Then a man wrung all the water out of the heart and it was left dry and fluffy. I then saw myself as a little girl, hugging the heart close to my body and swaying side to side. I don’t know why this made me feel like I have hope that I will find love some day? All day at work I felt a pretty strong sense of being loved. It was interesting. I’m pretty out of touch with my feelings when it comes to liking someone and I can almost never tell if someone else has feelings for me unless they’re really blunt about it so I’m not sure if my weird lovey dovey feelings have to do with me having a dumb crush on someone or if it’s something else. Regardless, I felt really in touch with God today and a really strong sense that He was with me. That was awesome! Then, when I was leading worship tonight at Acton Rehab, I felt so overwhelmingly connected to God and head over heals in love with Him. It was as is He were a real person standing right in front of me and I was singing these songs of love and adoration directly to Him. It was beautiful and bittersweet. I really do love God but He knows that I need human connection too. I love feeling in love and I love God’s love because it is completely unconditional and absolutely perfect but I also want the experience of imperfect, messy human love and all that it entails. But, for at least a few hours, I felt like I was in a loving, romantic relationship. True, authentic worship awakens your soul and sets your heart on fire with love for God and love for others. It makes the sky seem more blue, the flowers look prettier, you feel as if you’re floating on clouds, and you’re more patient with people and kinder towards others. 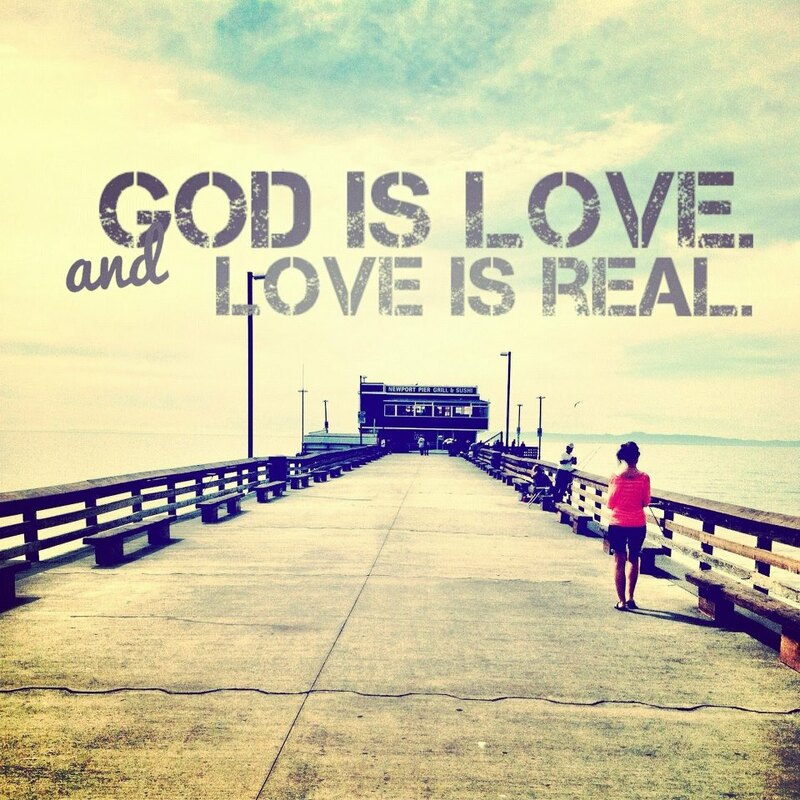 God’s love is absolutely perfect, amazing, transforming, sustaining, life giving, and uplifting. I’m thankful that, while I don’t have any romantic love between me and a man, I at least have the perfect love that God can give me. It sustains me in ways that no human relationship alone can. In fact, I don’t see how any of my relationships would last without God’s love. I just hope that, some day soon, God will allow me to have the love of a man who I too will be in love with. For now, my heart beats for God alone! I am a book lover, a concert goer/lover of music, a singer, a musician, a lover of the beach and nature, an okay friend, a follower of Christ, and a twenty-something...for now. Posted on January 9, 2013, in Uncategorized and tagged boyfriend, devotional, dreams, God, God is Love, God's love, heart, heartbeat, heartbroken, husband, life, lonely, love, man, prayer, relationships. Bookmark the permalink. Leave a comment. No More Coffee First Dates. Dreaming and thinking all the time. My quirky take on God, life, and what's really important. But not before coffee. Photograpy, design, & random thoughts. Apart from Christ and caffeine, I am nothing. Living. Thinking. Designing. Out of the Box.